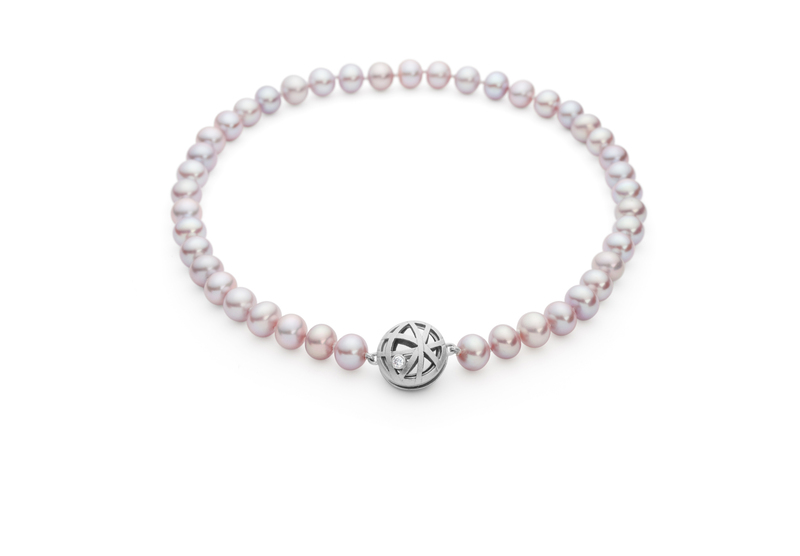 A single strand of soft, delicate lilac pink freshwater pearls, with a double-sided magnetic palladium catch, inspired by the looping intersecting bands of an astrolabe. 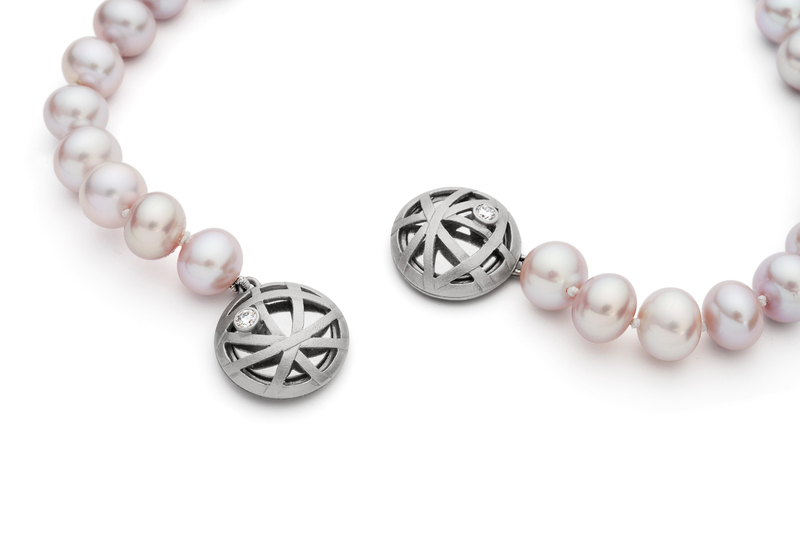 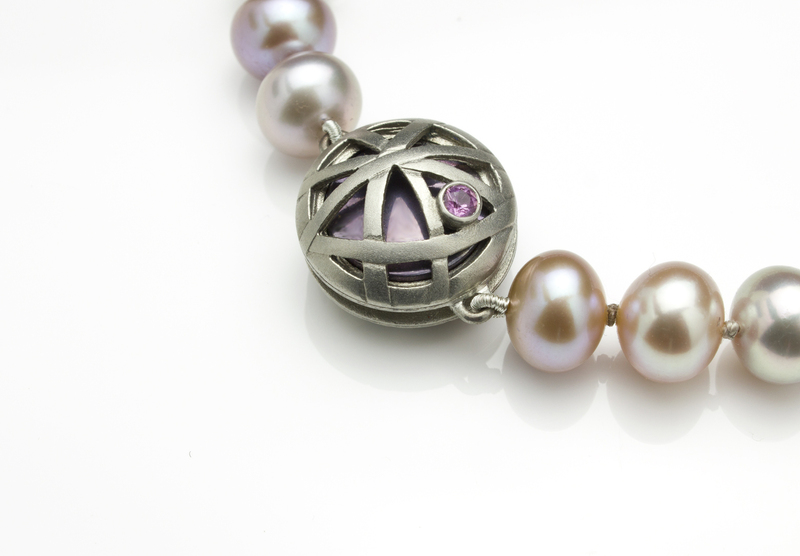 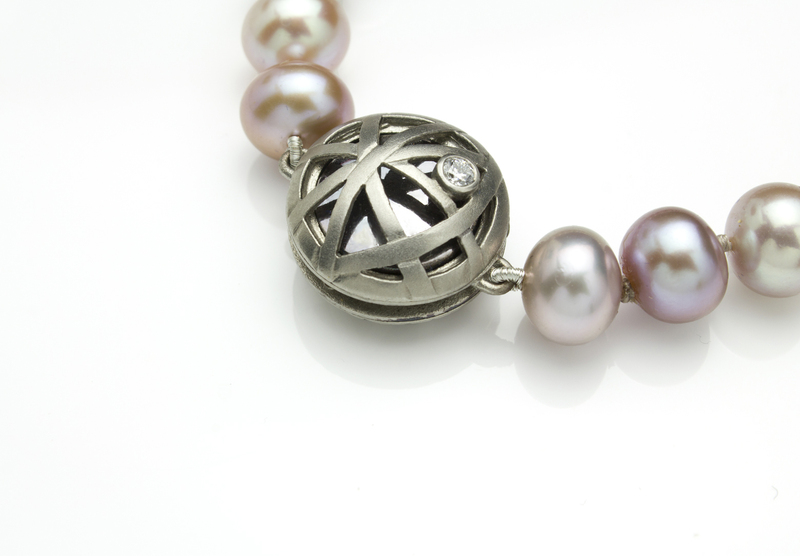 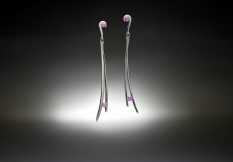 The easily connected catch can be worn at the front, side or back of neck, and is set with a diamond on one side and a pink sapphire on the other to complement the colour of the pearls. The stones are balanced between interwoven strands that are spaced to allow the polished heat-coloured interior to shine through. 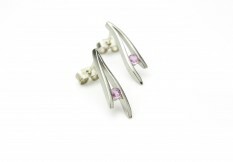 Shown here: Palladium, diamond, pink sapphire and freshwater pearls.